Longer suction arms with a reach of up to 19 ft. 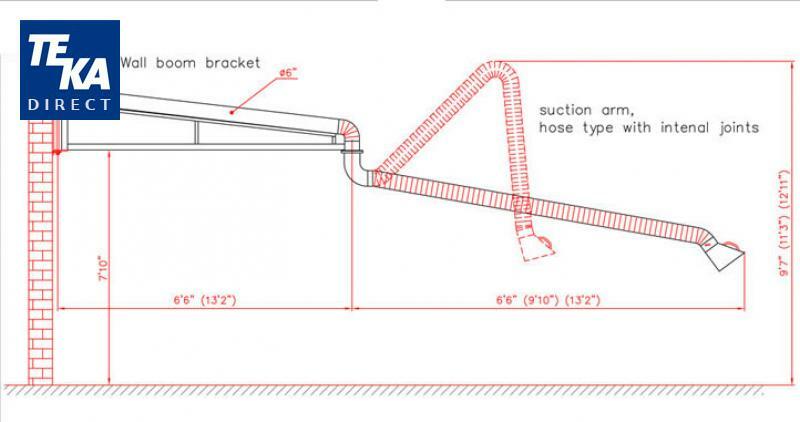 The cranes consist of a wall bracket with a pipe and a flexible arm with internal joints and a suction hood. Pipe and hose diameter is 6". Suction arms can be connected to central filter units or individual fans.